Residential Treatment Facility for youth located fifteen minutes north of Emporia, Virginia seeks Virginia licensed LPN. Substance abuse treatment experience is a plus. Full-time position. Twelve-hour day shift (8 A.M. to 8 P.M.). Compensation packages includes employer matching 401(k) retirement plan and employer sponsored health, dental, vision and life insurance. Jackson-Feild Behavioral Health Services is a drug free workplace. Successful applicants must pass a pre-employment drug screening and criminal background screening. Position open until filled. EOE. Psychiatric residential treatment facility for adolescent girls and boys and located 15 minutes north of Emporia, Virginia seeks experienced licensed clinician (LCSW or LPC) to provide therapy and case management services on an inpatient basis. Substance Abuse and Addiction Counseling experience and certification preferred. Population served includes adolescent girls and boys with complex developmental trauma, co-occurring mental illness, and substance abuse issues. Position provides individual, group, and family therapy within a psychiatric residential setting. Virginia license is required. Two years’ formal experience counseling adolescents is required. Residential experience is preferred. Seeking experienced candidates. Highly competitive pay and benefits including employer sponsored Health, Dental, Vision and Life Insurance and employer matching 401(k) retirement plan. Jackson-Feild Behavioral Health Services is an equal opportunity employer and drug free workplace. Post offer criminal background and drug screenings required. Position open until filled. If you are interested in making a positive impact on the lives of Virginia’s youth, then we want you to become a part of our Team! Rural Psychiatric Residential Treatment Facility located in Jarratt, Virginia seeks positive role models to work directly with adolescent boys and girls in a residential treatment program. The Youth Service Worker is responsible for role-modeling healthy behavior, maintaining professional boundaries, teaching life skills, administering a behavioral support program (points & level system), leading youth in and participating in social, cultural and recreational activities. This position supervises youth in the residential unit and on off-campus activities and appointments. Must possess the ability to work weekends, evenings, holidays, and nights. Supreme flexibility required. Must possess the ability to perform therapeutic physical restraint techniques. Seeking candidates with Bachelor’s Degree in Psychology, Sociology or other Human Services field. Experience will be considered in lieu of a degree. Compensation package includes 401(k) retirement plan and employer sponsored health, dental, vision and life insurance. Jackson-Feild Behavioral Health Services is a Drug Free Workplace. Successful applicants must pass a pre-employment drug screen and criminal background screening. Equal Opportunity Employer. Positions open until filled. Do you want to make a difference in a child’s life? 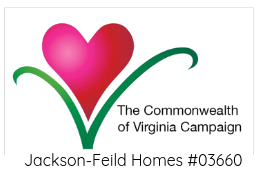 Jackson-Feild Homes is a cutting-edge human service agency. We attract professionals who are interested in helping children and their families. We are a multi-service organization where our employees put children first. Our staff includes psychiatrists, physicians, licensed or licensed eligible social workers, nurses, residential counselors, teachers, and other professionals. Each member of our team works to ensure the children served by Jackson-Feild heal emotionally, make significant progress improving their behaviors, meet their best potential academically and are able to return to their family or community. We offer competitive salaries and a comprehensive benefits package that includes: medical and dental plans, paid vacation and holidays, and a 401K retirement plan. All employees must pass state, federal and child protective services background checks. A physical, including a tuberculosis test, and drug screening are a requirement of employment.